An afternoon is well spent when you spend it at the VIP lounge at Saks Fifth Avenue appreciating the delicate work of Ingie Chalhoub who is so much more than a fashion designer. Ingie Chalhoub is a multi-award winning business woman and style guru. 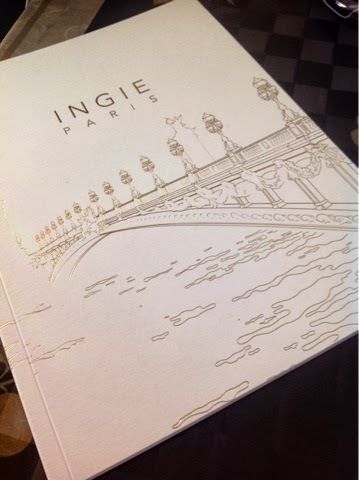 The fall/winter 2013 line of the brand Ingie Paris combines the styles of the world with the femininity along with the unique spirit of Paris and the modesty of middle east. The collection featured a mix of short cocktails dress, casual dress, short skirts, gowns fit for a wedding reception, long skirts for the evening and even an abaya. At the end of the show I had a chance to talk to Ingie Chalhoub herself and I must say, she is an marvelous person. When I mentioned how much I was impressed by her work and all that she has accomplished as a business woman, she very warmly invited me to stop by their office in UAE and in Paris whenever I visit. I had to cut my conversation short so the others could have a chance to interact with her, but it was a pleasure having talked to a women who is an inspiration for countless people around the world. 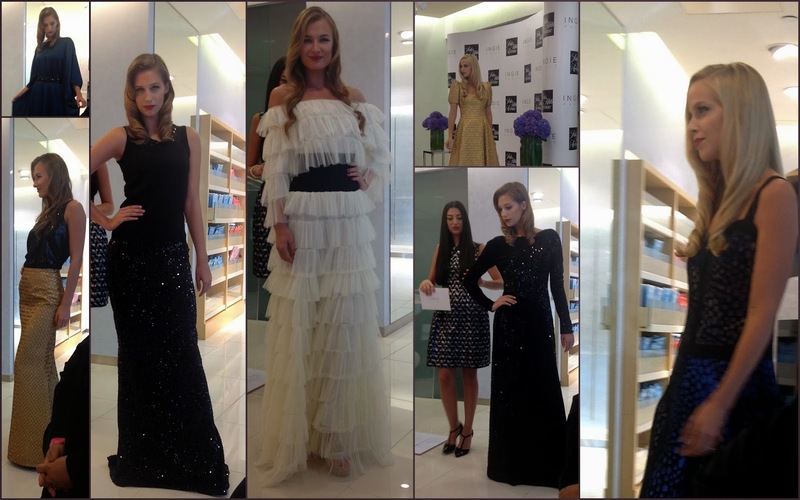 As the afternoon went along a number of stunning pieces from the new collection were displayed by the models. One of my favourite ensemble from the afternoon was the white and gold short dress with a matching cardigan featured below. The long dress included various cuts and textures. The Gold mermaid skirt had a fish scale like texture cascading downwards, enough to make you feel like an oceanic princess. Black velvet, sequined and colour changing fabrics won the hearts as the perfect must have for the holiday season. Ingie paris also showcased the long layered monochrome dress and a deep blue abaya embellished with black stones and beads. Textured skirts, party dresses, and jackets with hand sewn glass buggets made up the perfect combination of short dress quintessential to an evening out with the girls or a cozy dinner with your partner.